The Department of State Services (DSS) has warned politicians and youths to flee from violent related activities in the country. The agency gave the warning in a statement by its Public Relations Officer, Mr Peter Afunanya, on Monday, less than one week to the elections. “Politicians and the youth are expected to shun all acts of violence the same way observers are urged to keep to the fundamentals and principles of election monitoring as allowed by law and global best practice,” Afunanya said. 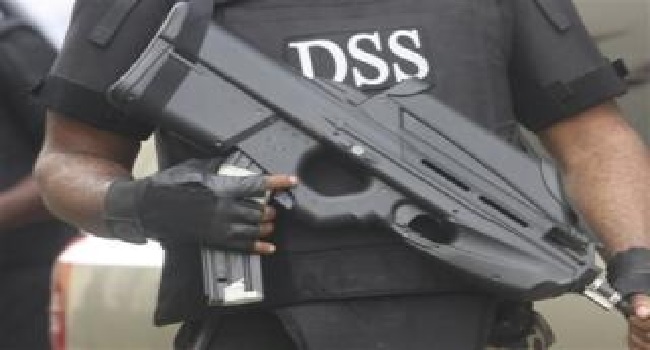 The DSS spokesman, however, urged all stakeholders including politicians, voters, and observers among others to be law abiding and observe the rules of engagement. He explained that doing so was relevant to the success of the exercise while the Service would commit itself to the provision of adequate security throughout the period of the electoral process. “The common aim of all and sundry should be for Nigeria to hold successful elections that will be adjudged free, fair, transparent and credible and accepted nationally and internationally,” Afunanya said. He added, “Everyone is urged to conduct themselves properly before, during and after the elections and avoid actions that may cause breakdown of law and order. The DSS spokesman added that the Service would engage stakeholders appropriately in a bid to ensure the protection and success of the elections. He stressed that ensuring security that would make the electoral process acceptable to participants and their supporters was important to the Service. In this regard, Afunanya said the DSS was determined to identify and arrest criminals and their collaborators whose activities oppose the objective of achieving peaceful and orderly elections. He, thereafter, warned that the Service would not condone fake news, incendiary or hate speeches aimed at whipping up dangerous ethnic, religious, and political sentiments capable of promoting violence. “Prospective lawbreakers are forewarned to steer clear of acts capable of undermining national security and stability,” Afunanya said. The DSS spokesman urged Nigerians to support the security agencies and the Independent National Electoral Commission (INEC) to conduct violence-free elections. He also them to promptly provide the agencies with information regarding suspected thuggery, theft of electoral materials, and violence of any kind that can bring the nation’s democratic journey to question.